Welcome to POLICY WATCH, the fortnightly e-newsletter from the NZ Council of Christian Social Services. POLICY WATCH (ISSN 2253-489x) provides a smorgasbord of the latest news, research reports and policy developments relevant to the core of work of NZCCSS. We endeavour to highlight issues that affect our mission "to work for a just and compassionate society in Aoteoroa New Zealand". Visit http://www.justiceandcompassion.org.nz/ to find out more about the work of Council and to access our other publications - Kete Kupu, our bi monthly newsletter and our quarterly Vulnerability Report. A review of Local Government was signalled earlier this year by the Local Government Minister Rodney Hide. Some reform of Local Government is necessary according to the Minister because of concerns about transparency, accountability and fiscal management. The reforms seek to scale back local authority work to ‘core activities’, help rate payers understand how their rates are being spent, provide more opportunities for rate payers to participate in decision making, and reduce red tape. For a while Local Government reform was on the back burner while the Auckland issues were a priority. However, it is expected the issue will now be advanced more quickly and has potentially serious implications for social services and the wider community and voluntary sector. A focus on core activities could be read as reducing what services councils offer. Reducing red tape could mean reducing the legislative protections against the sale and privatisation of key assets. ACT’s policy on local government is that ‘local government should progressively shed ownership of its commercial activities’. Ouch. The public is not being consulted on proposals and won’t get a chance to have any input until an amended bill gets on the legislative programme, possibly before Christmas. We urge readers to be aware of impending changes, to talk to their local MPs about their concerns and to be prepared to put in a submission at short notice. For more information on the Minister intentions read the April Cabinet paper to the Growth and Infrastructure Committee. Nick Smith Minister for ACC has announced some changes that the government maintains are needed to curb unsustainable increases in the cost of ACC. Most people will be aware of the apparently perilous state of ACC given the headlines about the cost blow out and the need for ‘a big lift in levies’, preparing the public for ‘painful bills about to wallop your wallet’. But is it really that bad? Critics of the government’s move to reform ACC claim that new accounting systems are exaggerating the corporation’s liabilities, that our system is cheaper than Australia’s and that investment losses suffered during the recession can be recouped over time. Alarmist statistics about the lack of long term sustainability of the system could be the excuse to bring in significant (and some would argue unnecessary) reforms. NZCCSS will monitor developments are we are concerned about what changes are being considered as ‘ACC moves to cut $2b’ off claims and the potential impact of these cuts on vulnerable New Zealanders. For example, the proposed 6% hearing loss threshold who deprive many people to access to support and is in addition to an age related hearing loss scale that ACC already uses. If you want to have your say on proposed ACC levy increases details are provided in an ACC press release. Submissions close 10 November. The Tax Working Group (TWG) recently met for the third time to discuss options for broaden the tax base. The government maintains that major reforms are needed in the current economic climate so that they can raise more money to cover the cost of lowering personal and corporate tax rates. Lowering both forms of tax is seen as critical because NZ’s relatively high tax rates are a barrier to economic growth given the mobility of investment and labour. To give some context, a 1% drop in the top personal tax rate of 38% costs the government $100m. If the 33% and 38% tax rates were dropped to 30% this would cost an estimated $1.1b. So what options are being explored? 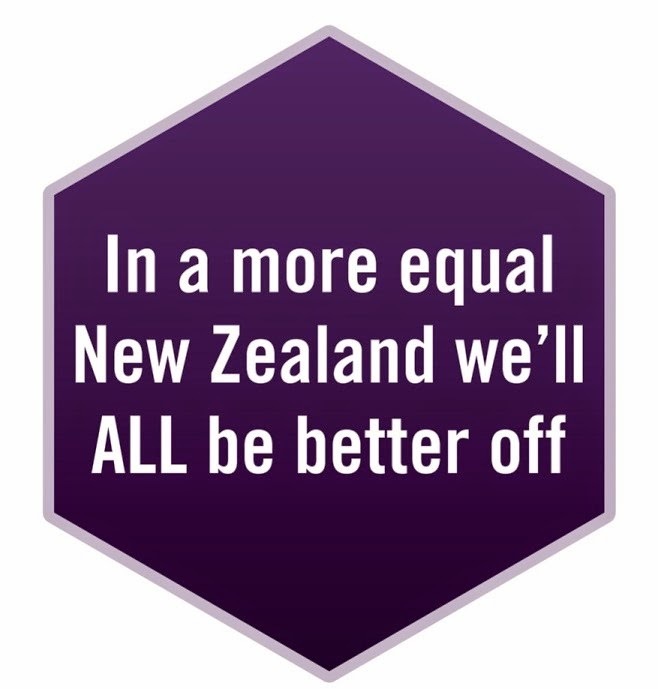 The TWG discussed Capital Gains Tax (NZ is one of the few OECD countries without one), land and property taxes, increasing excise taxes on alcohol and cigarettes, introducing estate duty and a range of other ideas. One paper suggests that a CGT over time would lead to higher rents causing problems for young low income households. One drawback of introducing a land tax is that it would disadvantage those who hold their wealth in one form – Maori authorities and older people were identified as those most disadvantaged by a land tax. The government’s response to a CGT has been lukewarm to date, as has been their initial response to the idea of raising GST. The call from Treasury officials for a flat tax system has been rejected outright. We will keep you posted. Latest figures from Statistics NZ reported in the Dominion Post show that weekly median incomes only increased by $2 per week. It also appears that more people aged over 60 were staying in work due to the impact of the recession on investment income. The Consumers Price Index for the September quarter has been released by Statistics NZ and shows that in the year to the September 2009 quarter, food prices increased 5.4 per cent, accounting for well over half of the CPI annual increase of 1.7 per cent. Electricity prices rose 4.5 per cent and local authority rates rose 6.6 per cent. In mid September the government announced that 3,800 state house tenants paying market rents are to be contacted to make them aware that they have the opportunity to buy their house or flat. This was one of Nationals housing policies prior to the election. New figures from HNZC website show that a record 10,336 families are on the waiting list for a state house. NZCCSS has long advocated for the expansion of NZHC’s housing stock and we agree with the Green’s sentiment that proceeds from the sale of state houses needs to be reinvested, and further significant investment needs to be made in increasing the provision of affordable housing. And on the topic of housing, in a recent press release NZIER is predicting a shortfall of about new 25,000 homes in the next five years due in part to the mismatch between the number of new homes being built and population growth. Of concern, is the impact of this shortage on low income families. Looming housing shortages were also identified by officials in the Briefing to the Incoming Minister of Housing in November 2008 – “without some supply-side intervention, housing shortages (especially affordable housing) could expect to emerge in the medium term, which would further exacerbate housing affordability problems”. The NZ Federation of Family Budgeting Services has released statistics showing that the amount of client debt owed has risen by 25% in the last year, attributable largely to the recession. Federation budget advisors helped 29,500 clients whose combined debt totalled in excess of $333m. Excluding mortgages, debts were owed to banks, finance companies and the government. Personal insolvencies had doubled. In response to the increase demand for its services the Federation is starting a recruitment drive and will be offering budget advisor training to volunteers in February and March 2010. For more info phone 0508 BUDGETLINE (0508 283 438). The Ministry of Economic Developments Insolvency Trustee Service also attributes the recession for a 49% increase in personal insolvencies and a doubling in company liquidations in its latest report for the year ending 30 June 2009. A number of NZCCSS members are either involved in delivering or work with providers of Family Start and Early Start intervention programmes. Family Start, according to the FACS website was “established in 1998 as part of a wider strategy to strengthen families. It provides intensive, home-based support services for families with high needs, to ensure that their children have the best possible start in life”. Early Start is a Christchurch based home visitation programme for families with under fives running since the mid 1990s. In a government press release the Minister has signalled that both programmes are to be independently reviewed – ‘we need to be sure that the money spent on these programmes is delivering value to the taxpayer’. The Minister is expecting a final report before Christmas. Over 400 Conference delegates participated in Living in an Ageing Society - Shaping Tomorrow Today, the joint Age Concern New Zealand and New Zealand Association of Gerontology conference in Wellington recently. The papers rejected gloomy views of increased senior populations. “Ageing is a triumph” Professor Alan Walker of Sheffield University reminded delegates. “Never before in human history have so many people entered later life so healthy” says Liz Baxendine, National President. The Families Commission has released a report Discipline in Context: families’ disciplinary practices for children aged under five. Based on interviews with 100 families, the majority of parents reported using positive parenting techniques and are pleased with their effectiveness. In a press release from the Commission it is noted that parents are taking on board “family violence messages, alongside positive parenting information and supports”. The Department of Building and Housing is consulting the public on the current disclosure statement with the intention of improving the disclosure statement, so it better meets the needs of intending residents and operators. The Retirement Villages Act 2003 requires operators to produce a disclosure statement, containing important information to enable intending residents to make informed choices about which retirement village, if any, is right for them.